inspired by bold cyanotypes, this smokey sage botanical piece is perfect for any season. sage hues mingle with smokey greys to create a dreamy cyanotype inspired piece. 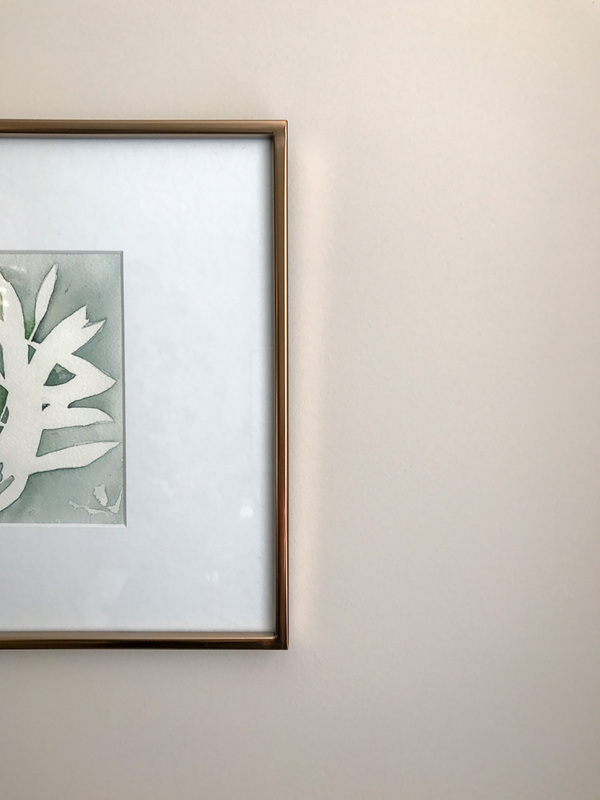 using a slender branch of olive leaves, this watercolor botanical can bring a sense of peace to any home. and framed in a rose gold West Elm frame makes it perfect for the fall and winter days. this 5x7" original was created on thick luxurious watercolor paper and framed by hand in West Elm's 12x12" polished rose gold frame. the framed piece will ship well packaged and protected.